Heavy weight MDF with hinges and fittings included. Celmac Wirquin Woody Toilet Seat Stainless Steel Hinge is rated 4.3 out of 5 by 28. Rated 2 out of 5 by Bob the eagle from Toilet seat Easy to fit and good quality BUT the hinge is raised too high for the rear pair of seat pads to rest on the toilet bowl edge. Therefore, the seat rests on the hinges and front pair of pads. This means the weight of a person sitting will add stress to the central areas of the seat and possibly adversely effect the product’s longevity. Rated 5 out of 5 by Jockyboy from Smoothest toilet seat I have ever sat on. Seems like good value I’m happy with it. Rated 5 out of 5 by redken from Better than plastic Superb value for money toilet seat.Far better than the plastic ones! Rated 5 out of 5 by Coldsparky from Take a Seat! Bought one of these for the downstairs toilet and was so impressed with its ease of fitting have decided to replace the upstairs toilet seat to. One of the main reasons for choosing this particular seat was the stainless steel hinges as no matter how you try to retain the shine on chrome hinges, they always tarnish in a short length of time. 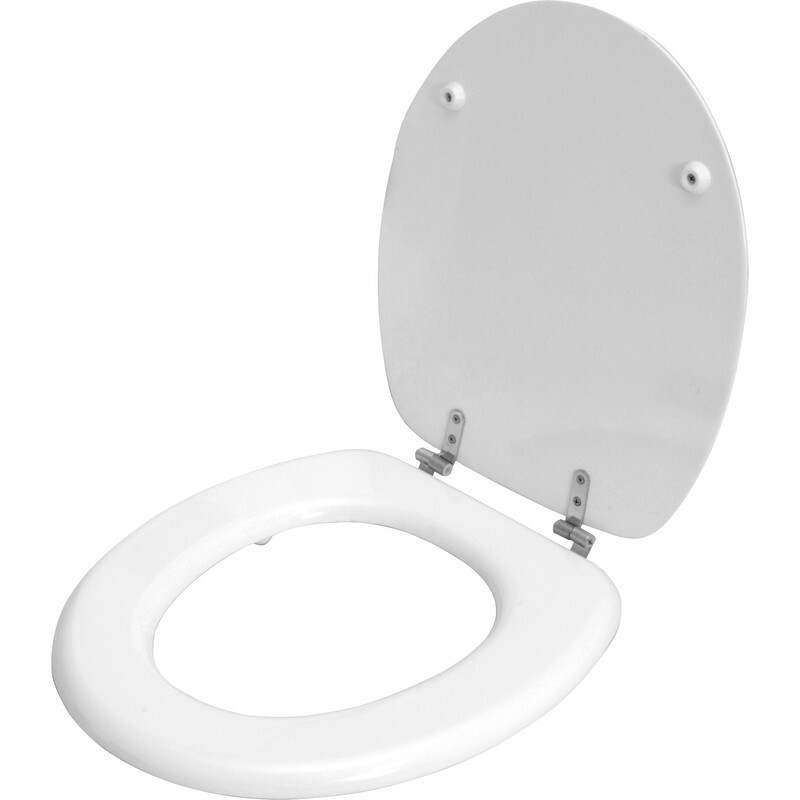 The quality is good as far as toilet seats go and fitting is simple with the easy adjustment and the positioning of the screw rods taking no time at all. Rated 5 out of 5 by wavydavy101 from Looks good Looks just like the original, pleased with it. Rated 5 out of 5 by Joannie from Robust seat This toilet seat was easy to fit, looks good and is sturdy. It's cost was very reasonable.